WHEN renting a room, a tenant can do a number of things to show respect and consideration to their landlord. And none of those things include stealing the landlord's car, changing its number plates and dumping it in Baldwin swamp. But Amber Maree Joyce, 20, did exactly that. 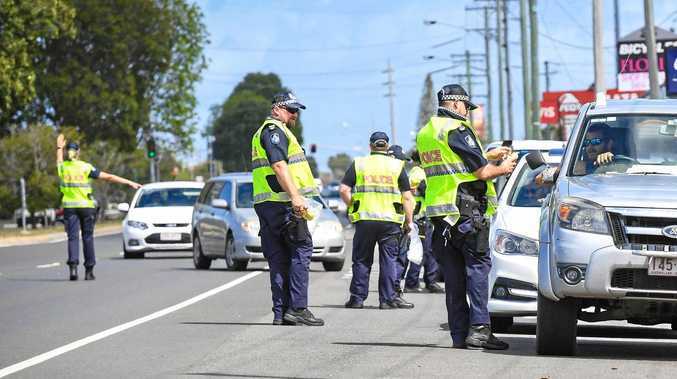 Joyce pleaded guilty in Bundaberg Magistrates Court via video link yesterday to driving without a licence, offences involving registration certificates, unlawful use of a motor vehicle, possession of a knife and possession of a dangerous drug. The court heard on February 19 Joyce had asked for permission from the victim to use her car and withdraw money for rent, and on previous occasions had been given permission to use the car. But when an argument broke out between the pair, Joyce still took the car for "a number of hours” before police found the Toyota Kluger parked in Baldwin Swamp, with its number plates changed. Searching Joyce's handbag police found a fishing knife, a throwing knife and a used grinder. Later they found 2.7gm of marijuana. Police prosecutor Senior Constable Grant Klassen said Joyce had "been scared” because she was on parole for a previous assault charge when the offence occurred, which is why she changed the plates. Defence lawyer Matt Maloy told the court Joyce's mother was present to "show support” for her daughter, at which point Joyce began to cry. "She has been on the methadone program since she was 19,” Mr Maloy said of his client's steps to recover from a heroin addiction. He said previous agreements had been made between the victim and Joyce for her to use the car to run errands, yet Joyce had never held a licence. "An extended sentence would be crushing ...,” Mr Maloy said. Magistrate Neil Lavaring said he took into account the 34 days Joyce had spent in custody. "You were on parole for producing dangerous drugs and assault ... nine months from last November,” Magistrate Lavaring said. Joyce was sentenced to four months imprisonment, wholly suspended for two years.